IDS uEye ML and LE series USB 3 cameras are now available in identical models with either the industry standard USB3 Vision interface or the proprietary IDS Software Suite, to give users a unique choice depending on the camera benefits most important to them. SB3 Vision users get the full advantages of the manufacturer-independent protocol defined by the AIA standard which allows camera interchangeability regardless of manufacturer. 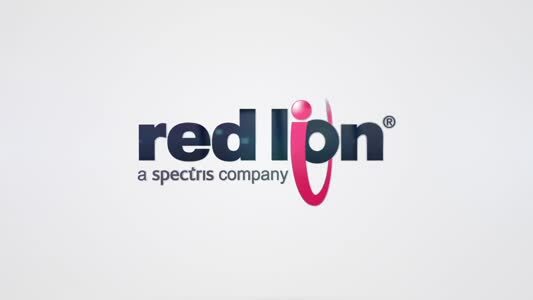 Users who wish to make use of the many sensor functions (such as line scan mode) that are not currently supported by USB3 Vision can choose the IDS Software Suite versions. Switching from one version to another at a later date is easily possible by updating the firmware, giving the ultimate in flexibility. The uEye USB 3 ML and LE camera series offer housed and single-board level versions equipped with the latest generation of 1.3, 2, and 5 megapixel colour and monochrome CMOS sensors. USB 3 cameras offer data transmission rates up to 400 MB/s, as much as 10 times faster than USB 2.0 and up to 3.5 times faster than GigE. Data transmission distances of up to 5 metres are possible using certified cables, up to 15 metres using active cables, and up to 100 metres using fibre optic cables. The USB 3 uEye ML weighs just 41 g with a size of 47 x 46 x 28 mm making it a perfect solution for all space critical applications. This robust camera is suited for a wide range of applications thanks to 2 GPIOs, opto-decoupled trigger and flash. Its C/CS lens mount allows for a great selection of lenses including wide-angled versions. Camera integration is particularly easy based on Plug&Play and USB's one cable solution for data transfer and power supply. 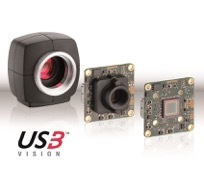 The USB 3 uEye LE is the first proper single-board USB 3 camera. It is available with or without an S-Mount lens mount to make use of the most cost-effective lenses available. It is also available in a housed version with C/CS lens mount to offer exceptional flexibility. Thanks to its minimal size the LE offers easy integration and hence is the perfect component for embedded systems and OEM engineering. The single-board version also offers excellent connectivity with its 8 pin connector for 5 V power supply, trigger, flash, 2 GPIOs and an I2C bus for triggering external devices.